A much ruined cairn set below the westerly crags of Carn Menyn. 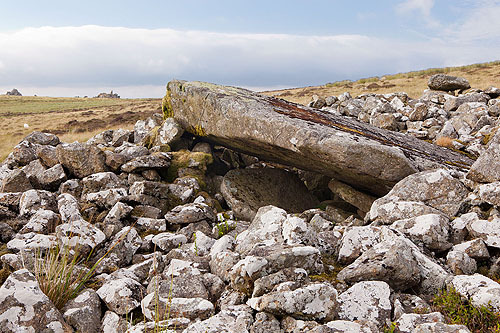 The cairn is a roughly circular heap of stones, about 15m in diameter and 1.5m high. A 3.0m by 2.5m capstone is exposed at the centre along with the stones of a collapsed chamber. A Neolithic or Bronze Age funerary monument.